Styrobeck is often involved in projects both small and large, with some being of very challenging design. This page will feature projects which in our eyes reflect the quality of our manufacturing operation and expertise of our staff during the production process. 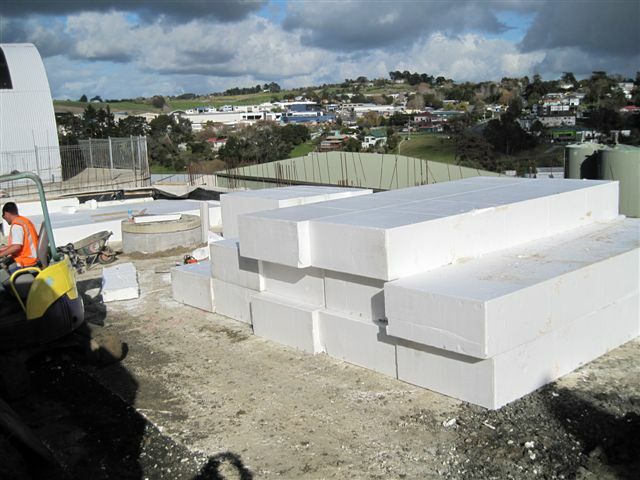 Also we will feature pictures of some of the applications of polystyrene products, installed by our customers. Projects often require programmed deliveries to suit work progress and we work hard to meet customer expectations. 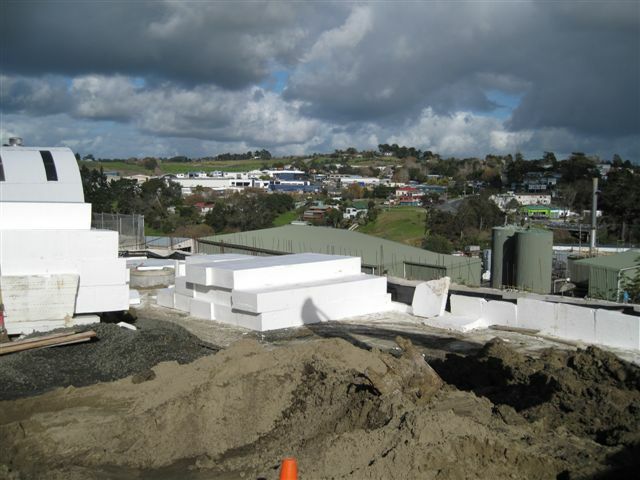 Geofoam EPS Blocks are being placed behind a large retaining wall as bulk fill which will be topped with concrete ready for additions to a carpark area. Location is at Silverdale Auckland and completed in 2010. 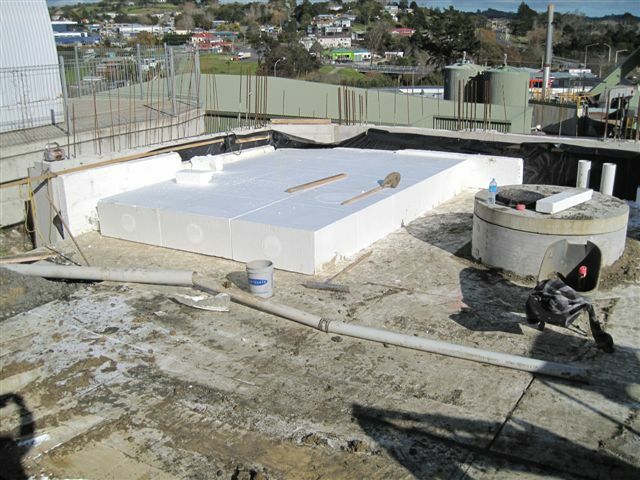 The main contractor for this project was Cordite Construction of Auckland. 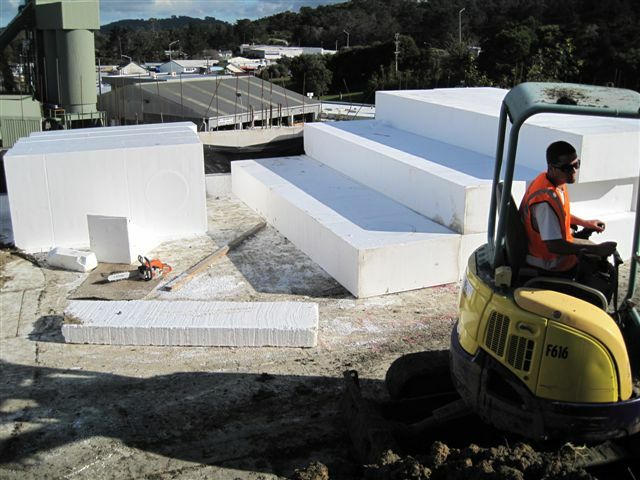 Approximately 170m3 of Polystyrene Bulk fill was installed. 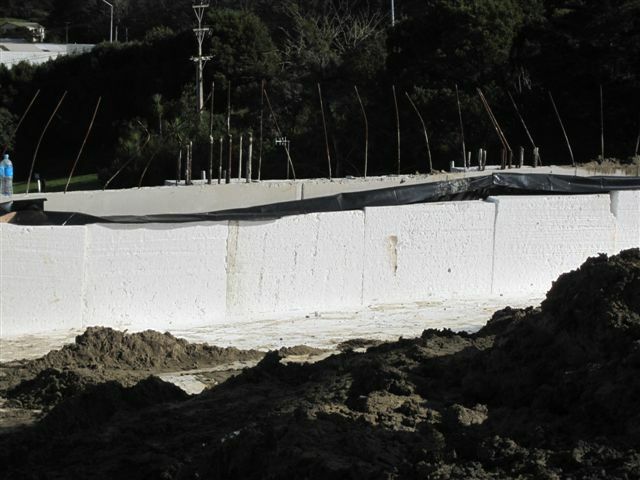 Our Form-Flow drainage board was also installed directly behind the retaining wall structure.